Minimize evaporation by watering during the early morning hours, when temperatures are cooler and winds are lighter. 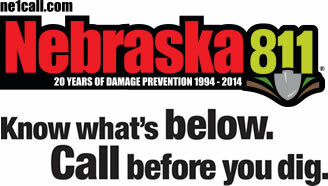 It would be best for any area, if automated sprinkler system timers were set to start and run between 3 am and 6 am. 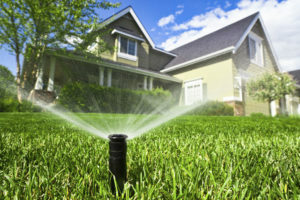 Watering this early helps reduce system demand during peak periods and results in deeper watering that is better for the lawn and better for sprinkler system performance. Check your sprinkler system frequently and adjust sprinklers so that you are only watering your lawn and not the house, sidewalk, or street. Remember to check your sprinkler system valves periodically for leaks and keep the heads in good shape. Don’t water your lawn on windy days. After all, sidewalks and driveways don’t need water. When watering grass on steep slopes, use a soaker hose to prevent wasteful runoff. Teach your family how to shut off your automatic watering systems. Turn sprinklers off if the system is malfunctioning or when a storm is approaching. Regularly check your toilet, faucets, and pipes for leaks. * Replace your showerhead with a water-efficient showerhead, doing so is one of the most effective ways to so save on your water consumption. * Get in the shower as soon as the water becomes warm enough. * Reduce the level of water used in a bathtub by half, or better yet, take a short shower. * Turn off the water while you are shaving. Fill the sink with an inch of hot water instead of letting the water run continuously. * Replace your old toilet with a high-efficiency toilet that uses 1.3 gallons per flush. * To check your toilets for leaks, simply take the top off of your toilet tank and add a few drops of food coloring into the tank. DO NOT flush the toilet wait approx. 5 min and check to see if the coloring appears in the bowl of the toilet, if so you have a leak. These type of leaks can usually be fixed by replacing the flapper or rubber washer. *Leaky faucets can also be a huge culprit of water loss. * Don’t waste water when brushing your teeth or washing your hands. Shut off the water until it’s time to rinse. * Run the dishwasher only when full. This practice will save water, energy, detergent, and money. If your machine has a quick wash or light duty setting, use it! * Installing a faucet aerators, can cut consumption costs. * Scrape your dishes instead of rinsing and allowing your dishwasher will take care of the rest. * Soak pans rather than scrubbing them with the water running. * Wash only full loads and use the lowest water level setting on the washing machine for light or partial loads whenever possible. * Use cold water as often as possible to save energy and conserve hot water for uses that cold water cannot serve. * Look for the Water Sense label when installing or replacing plumbing fixtures. They are tested and certified to perform as well or better than their less efficient counterparts and on average are 20 percent more water efficient. * Don’t ignore leaky faucets; they are often easy and inexpensive to repair. Turn off the valve under the sink until you get around to repairing the leak. A slow drip can waste as much as 170 gallons of water each day and will add to your water bill. * Know where your master water shut-off valve is in case a pipe bursts. Insulate hot water pipes. You won’t waste water waiting for it to get hot, and you will save energy.